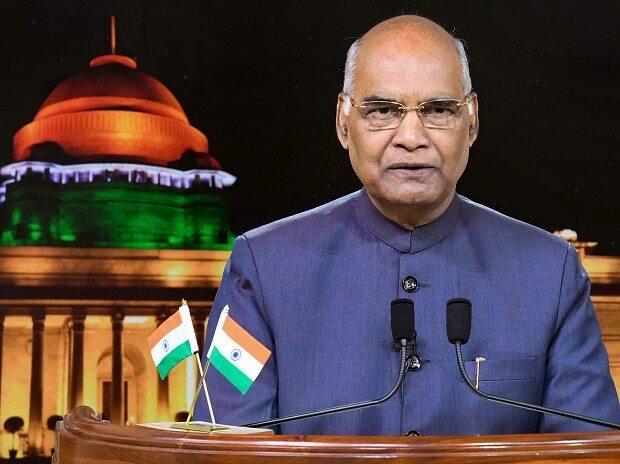 President Ram Nath Kovind Monday said India will use all its might to protect the nation's sovereignty while referring to the IAF air strikes in Pakistan following the Pulwama terror attack of February 14. Addressing a function here, the President said India's growing stature in the comity of nations is consistent with the strength and capabilities of its armed forces. "India remains firmly committed to peace, but in case the need arises, we will use all our might to protect the nation's sovereignty. I am confident that our valiant men and women in uniform will rise to the occasion," Kovind said. He said the country's armed forces, exemplified by the air warriors, "reflect our firm resolve to defend our nation". "Their valour and professionalism was on display very recently, as the Indian Air Force carried out pre-emptive strikes on a known terrorist camp," the president said. The Indian Air Force had on February 26 carried out strikes in terror camps of proscribed organisation Jaish-e-Mohammed in Pakistan. Kovind was speaking after presenting the 'President Colours' to the Air Force Station, Hakimpet and 5 Base Repair Depot.